For this route, you don't need any mountain climbing skills, but you must be fit. The trek starts at Marangu Gate. 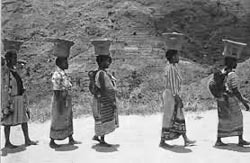 Porters will carry all your personal items, equipment and supplies and a cook prepares your meals. The Marangu Route has a well-defined path, which has been well set out and where most obstacles have been modified to make it friendly. 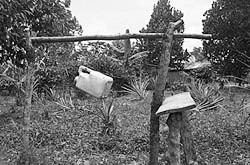 Marangu is the only routes with huts (instead of camping). It is a very scenic route with good views of Mawenzi and chances for viewing wildlife. 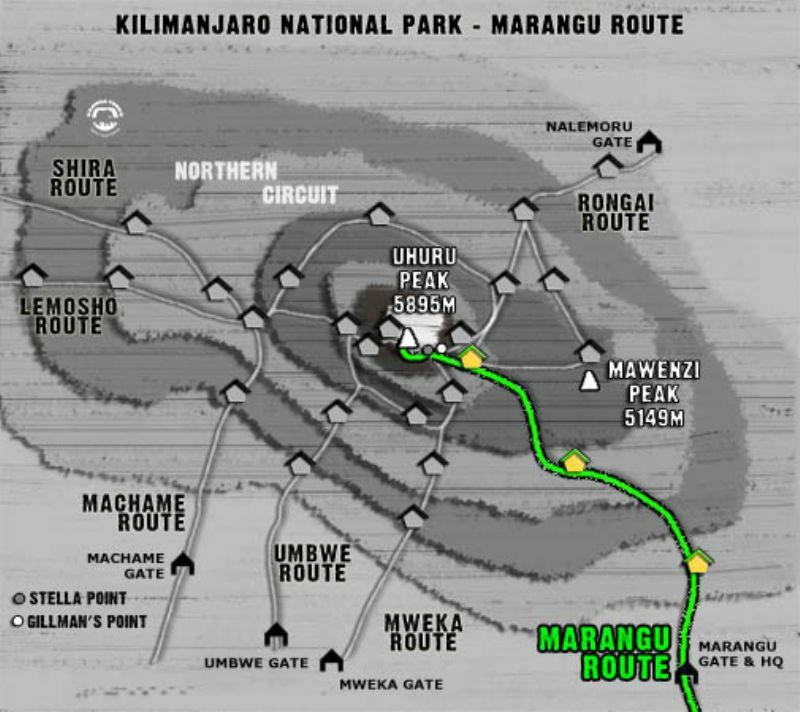 Marangu is (after Umbwe) the shortest route to the summit. This is not always the best way due to a shorter acclimatisation period. To have better acclimatization it is possible to spend an extra acclimatisation day on the mountain. This extends the route to 6 days, greatly increasing your chances of reaching the summit. Hut accommodation on the Marangu Route forms the main difference compared to the other routes. It offers you the relative luxury of being able to sleep in huts along the entire route. Mineral water, soft drinks, chocolates and beers are also sold at all the camps on this route. For the 6-day route, add an additional acclimatisation day at Horombo Hut on the itinerary below (an extra day between day 3 and day 4). On the extra day you can make a scenic walk towards Mawenzi Hut, passing the Zebra Rocks on the way (about 3 hours up and 1,5 hours down). The extra day helps to get used to the high altitude. 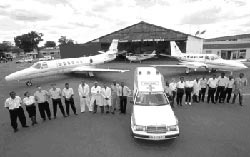 Arrival at Kilimanjaro Airport in the evening, meet and greet by your guide, then make a short transfer to Moshi Town (35 minute drive) to the Hotel for an Overnight. Briefing about the Kilimanjaro climb by your guide. Your Kilimanjaro guide will also check your equipment. Anything missing can be rented the next day. Pick up from the hotel in Moshi Town, do some brief shopping around town before we leave the town and drive to Marangu Gate. Meet your Kilimanjaro team: guide, assistant guide, cook and porters. 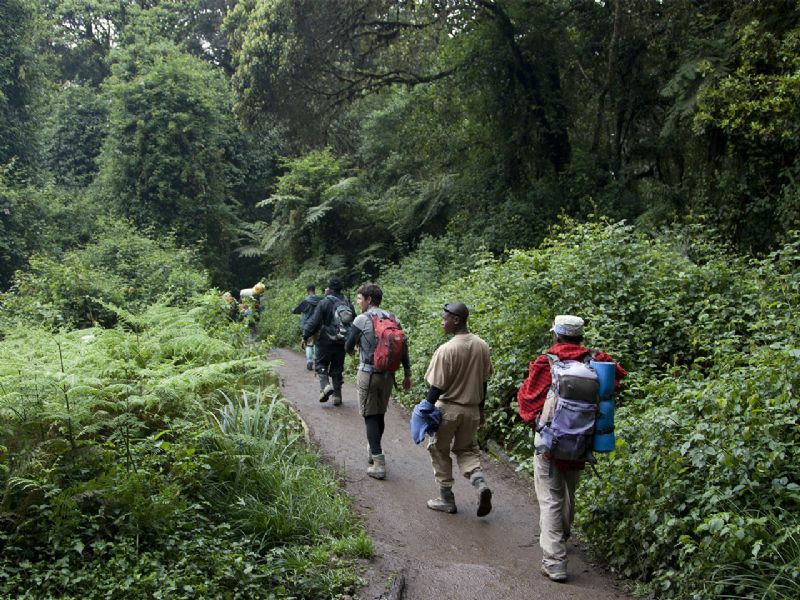 The hiking starts to ascend on a cleared ridge trail through the rain forest. 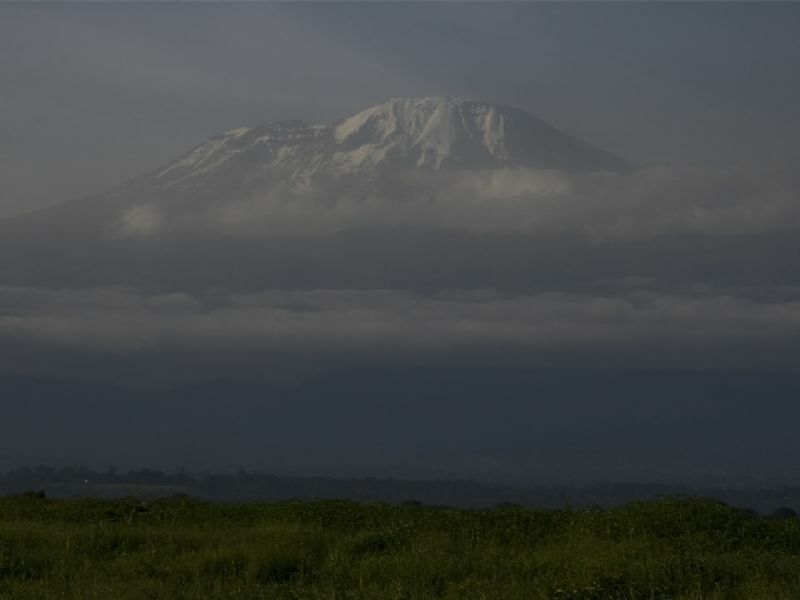 The forest, suffused with mist and dripping with beards of moss, is also where most of Kilimanjaro's animals are found. (An alternative and more scenic parallel forest trail is possible). After some hours walking through the misty forest we reach Mandara Hut. This is a group of wooden A-framed huts in a forest clearing. Each hut features 6 to 8 sleeping bunks with solar generated lighting. The total capacity of the camp is 60 climbers. Water is piped into the camp from springs above and there are flushing toilets. After a good and warm dinner we take a good rest. After a good breakfast we start hiking again. The first part leads us through the misty forest, until we reach Maundi Crater, where the forest emerges into moorland. It is well worth a short detour to walk up the rim of the Maundi Crater for your first really impressive view of the Kibo Crater. On a clear day, Kibo Peak will glimmer in the distance, showing off her majestic glaciers in the morning sun. 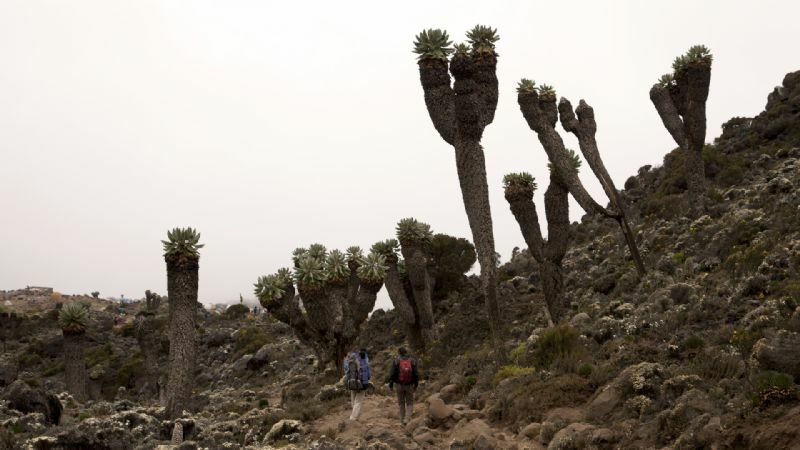 In the open moorland you will see some of Kilimanjaro's most spectacular plants - the endemic giant lobelia which grows up to 3 m in height and the giant groundsel which can reach heights of 5m! 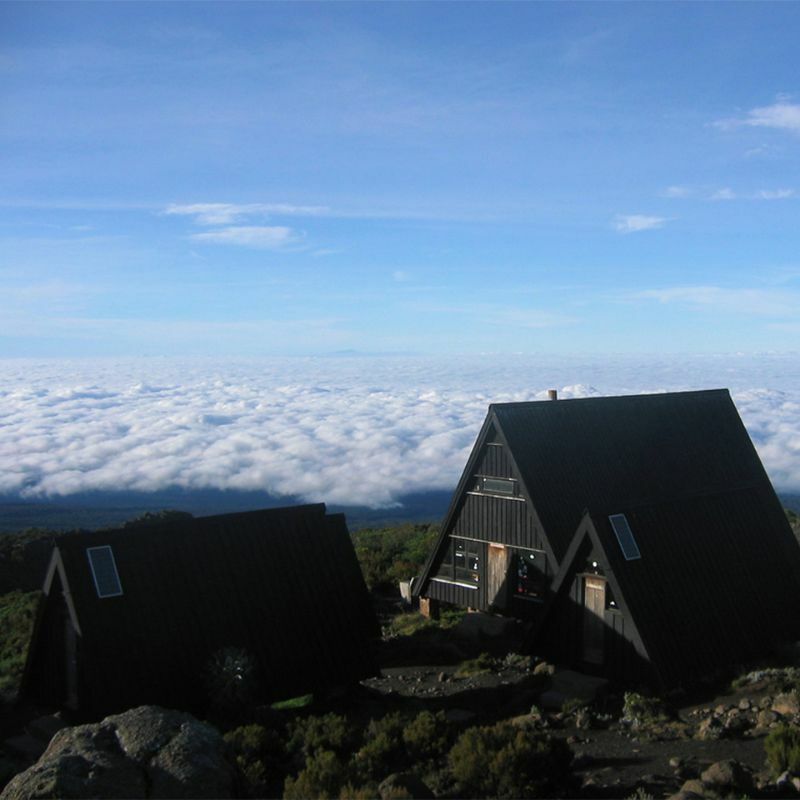 After a beautiful walk we reach Horombo Hut, where you will have hot washing water and a good warm meal. Overnight in one of the huts. After breakfast we ascent into the Alpine desert habitat. We walk through this strange and beautiful landscape to Kibo Hut. On our way we pass the last point where we will get our water for 2 days. 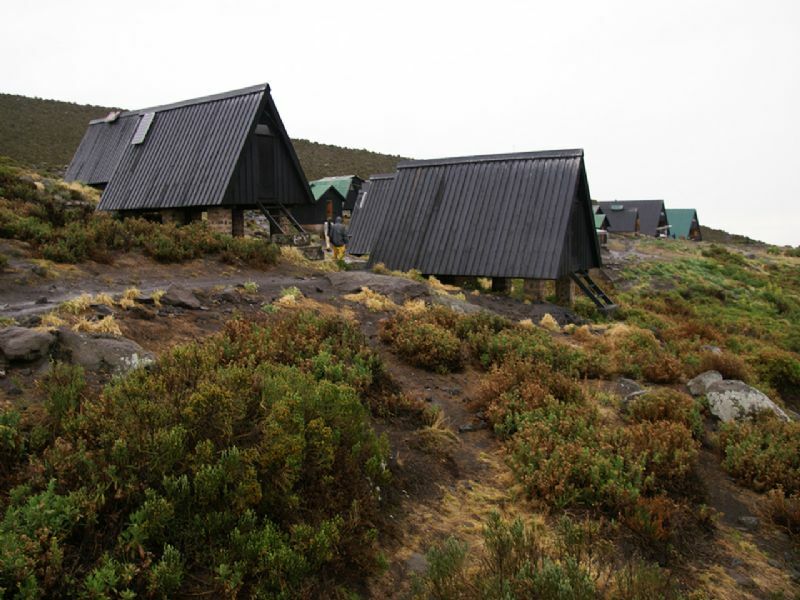 Horombo Hut is a stone build block house which has beds for 60 climbers, but no streams with water nearby. It is however possible to buy mineral water and soft drinks at the camp office. There are platform toilets behind the hut. The summit is now a further 1.195m up and you will make your final ascent the same night. To prevent freezing it will be wise to carry your water in a thermal flask! Your guide wakes you up before midnight and after a hot cup of tea and some biscuits you will start your trekking to the summit! 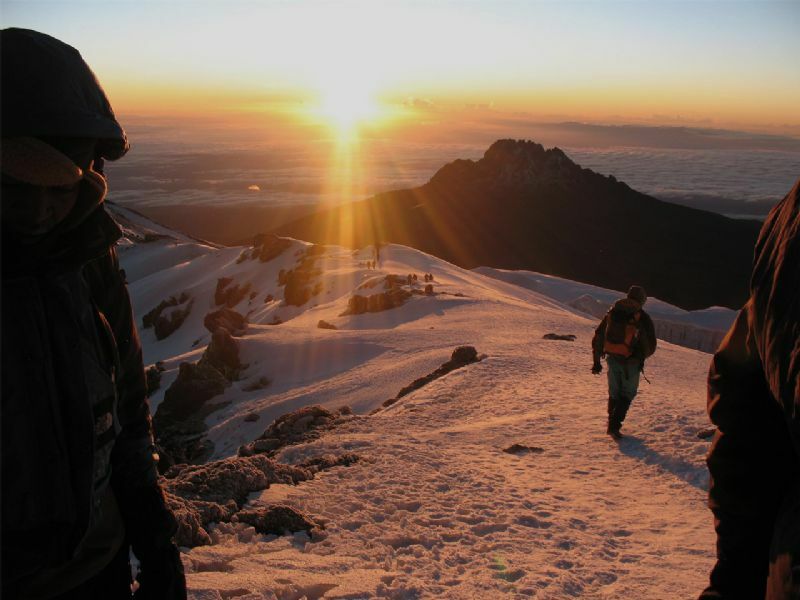 When we reach Gillman's Point (5.700m / 18,700ft) we see a spectacular sunrise with Mawenzi in the background. We take a short rest to enjoy the spectacular view of the sunrise and Kibo Crater. We continue to walk on a relatively flat path, surrounded by beautiful glaciers, to reach the summit of Mt. Kilimanjaro, Uhuru Peak (5.895m / 19,340ft). Enjoy your accomplishment and a day to remember for the rest of your live! After taking photos we start to descend to our base camp, Kibo Hut (2 to 3 hours walk). We reach the camp, where we will have a rest and a good lunch. After lunch we descend to Horombo Hut (about 3 to 4 hours). Exhausted, proud and excited we will have a well-deserved dinner and very good sleep. After a good night's sleep we start our final descend to Marangu Gate. 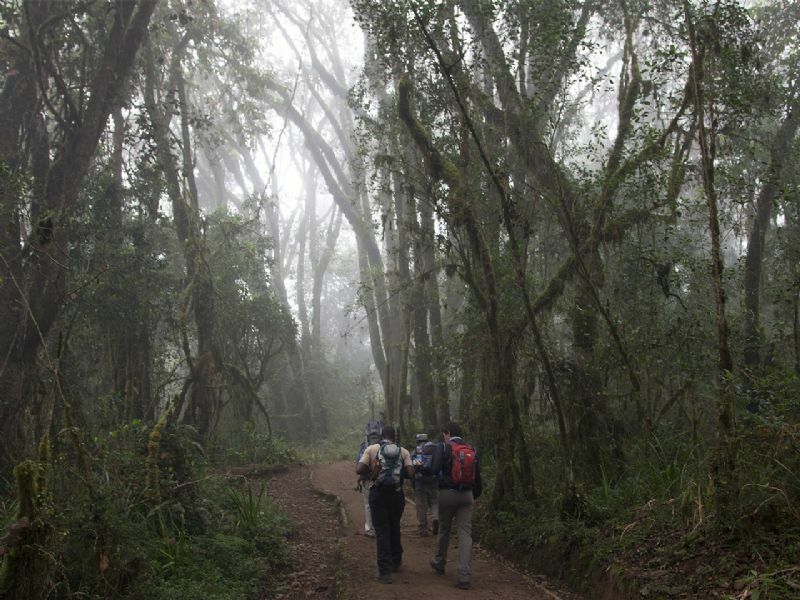 We go through the misty and beautiful forest again, all the way to Marangu Gate. The monkeys say goodbye and we realize we are about to end this great experience. 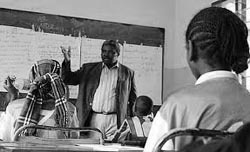 After getting our certificates we will celebrate our Kilimanjaro adventure with our guides, cook and porters. We all did a great job! Transfer to your hotel for your much-needed shower and very comfortable bed. After a good night's sleep we wake up in our hotel where we will relax. 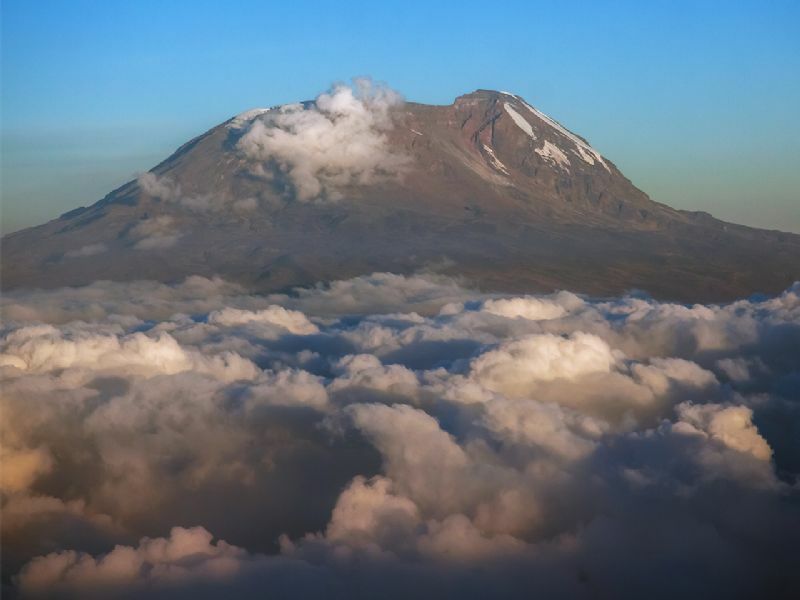 Transfer to Kilimanjaro International Airport for your flight home, or proceed with the second part of your Tanzanian holiday. Personal things like sleeping bag, rucksack, footwear, other clothing etc. Our experienced guides will always take care of you! Sleeping Bag: A down or fiberfill sleeping bag rated at least "3 seasons", plus an insulation pad, such as "Karri mat", if camping. Footwear: Good, semi-stiff walking boots are suitable for most walks. Waterproof: A good waterproof jacket (with zip to assist ventilation) is essential. Waterproof trousers are optional. 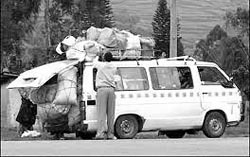 Rucksack: A 50-65 pack without a frame is preferable in Machame routes. Head Cover: A woolen hat or balaclava is invaluable. Trouser & Shirts: Wool breeches are ideal, corduroy acceptable. Trousers should be as windproof as possible. 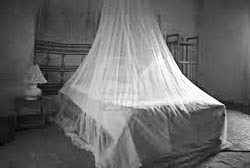 Long sleeved shirts, preferable wool, plus two thin jumpers are probably as much as is required for a short trip. A duvet jacket is luxury to have. Sun protection: A good sun cream, sun protection lip balm and sunglasses are essential. Spare socks, shirt and trousers, mitts or gloves, torch, water bottle, small towel and wash kit, plastic bags, whistle and compass etc. We can provide everything you need for your hike to the summit! We will check your equipment before the trekking and we will help you to get the right equipment when needed..
Kilimanjaro is a photographer’s delight! During the trekking there are many great panoramas and landscapes. It is not always easy to make good photos. Our photographer, Vincent van 't Hof hiked to the summit using the Machame Route. Vincent is happy to share his knowledge about Kilimanjaro climbing and photography. To catch the first sunlight on the glaciers is a must! Don’t forget to make photos of yourself as well! Enjoy your hike, it is a photographer’s delight!